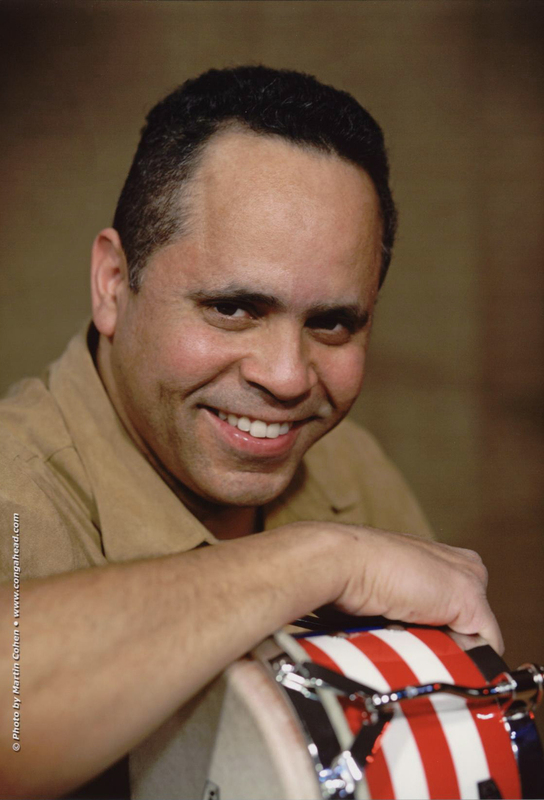 LP aritist, Jorge Gonzalez has played professionally for over 30 years and has recorded over 150 albums, Four which were Grammy winners & Five which were Grammy nominated. He has had the privilege of performing and recording with a number of artists including Ruben Blades, Willie Colon, Celia Cruz, Johnny Pacheco, Larry Harlow, Ray Barretto, Juan Luis Guerra, Fania All Stars, Spanish Harlem Orchestra, Pete “Conde” Rodriguez, Papo Lucca, Cheo Feliciano, Chico Mendoza, and numerous others. He has also performed on Paul Simon’s Capeman and Enrique Iglesias Play “4 Guys Named Jose and Una Mujer named Maria,” Jorge has recorded jingles and commercials for Dunkin Donuts, Met Life, 1-800 Cable and many others. Jorge also appears on the LP instuctional DVD, “Drum Solos Revisited and on The Rhythmic Construction of a Salsa Tune – Vol. 2. Jorge has had the privilege of performing for President Bill Clinton and Hillary Rodham Clinton at the White House. Jorge has performed in numerous Countries including Germany, Japan, Hong Kong, Israel, Spain, Turkey, Argentina, England, Australia, and the Caribbean. Jorge cites his father, Juan Gonzalez Jr., a noted percussionist in his own right, who always encouraged and supported Jorge’s musical pursuits, as being the person most responsible for inspiring his musical career.